Aside producing affordable and pretty standard smartphones, one other thing that has made xiaomi one of leading smartphone manufacturer in Asia is the MIUI. The MIUI has always existed even before Xiaomi started manufacturing smartphones and it has also contributed greatly to the success of the brand. 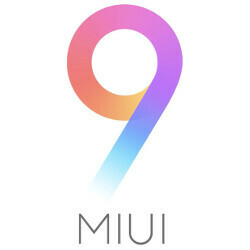 Yesterday, Xiaomi release the latest version of the MIUI OS which is the MIUI 9. The newly released MIUI 9 is expected to feature split-screen multitasking, performance enhancements, and a smart assistant. The two questions that will naturally come to the mind of a Xiaomi smartphone user is when will this OS be rolled out to users and also which Xiaomi devices will receive the update. Fortunately there are some speculation making rounds from some fairly reliable sources. Xiaomi is expected to start rolling out the developers beta version of the MIUI 9 by the 11th of August which is just about 2 weeks time and the devices which are expected to receive the new update includes the Mi6, Note 4x, Mi Max and the recently announced Mi 5x. The second batch of the beta release is expected to start rolling out by August 25th and more devices will be receiving that. Below is the full list of xiaomi smartphones that will receive the new MIUI 9 OS.